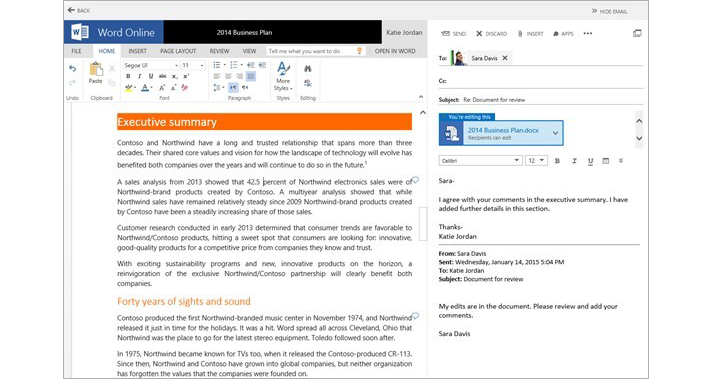 ​Exchange 2016 helps you get more done through faster search and an inbox that is more personalized, more helpful, and more intelligent. ​A simplified architecture, originally forged in the cloud, combines the mailbox and client access roles, so it’s easier to plan and scale your deployments. Streamlined coexistence with Exchange 2013 means easier upgrading. ​With its new approach to attachments that eliminates versioning headaches, plus other enhancements, Exchange Server 2016 makes working together on documents easier. ​Exchange Server 2016 powers the latest Outlook experiences on phones, tablets, desktops, and the web so you can get more done, wherever you are.